DETROIT — An American Muslim arrested in Detroit has apparent connections to an al-Qaida leader who radicalized the so-called underwear bomber, Umar Farouk Abdulmutallab, the Detroit News reports. FBI agents raided Sebastian Gregerson’s home on the west side and found illegally purchased grenades and CDs marked “Anwar al-Awlaki,” an al-Qaida recruiter who met with Abdulmutallab ahead of the Christmas Day 2009 attack on a Detroit-bound flight. The FBI also seized seven rifles, two AK-47 assault rifles, handguns, a shotgun, thousands of round of ammunition, cellphones and computer equipment. 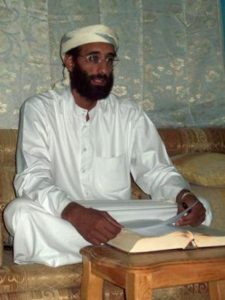 “When you look through most of the cases of individuals who get arrested for terrorism charges, the vast majority had al-Awlaki on their laptops,” said Seamus Hughes, deputy director of George Washington University’s Program on Extremism. Posted: 8/8/16 at 8:53 AM under News Story.